Linux adoption refers to new use of the Linux computer operating system by homes, organizations, companies, and governments, while Linux migration refers to the change from using other operating systems to using Linux. Many factors have resulted in increased use of Linux systems by traditional desktop users as well as operators of server systems, including desire for decreased operating system cost, increased security and support for open-source principles. Several national governments have passed policies moving governmental computers to Linux from proprietary systems in the last few years. In August 2010 Jeffrey Hammond, the principal analyst at Forrester Research pronounced: "Linux has crossed the chasm to mainstream adoption." His declaration was based on the huge number of enterprises that had moved to Linux during the late-2000s recession. In a company survey completed in the third quarter of 2009, 48% of companies surveyed reported using an open source operating system. Gartner claimed that Linux-powered personal computers accounted for 4% of unit sales in 2008. However, it is common for users to install Linux in addition to (as a dual boot arrangement) or in place of the pre-existing Microsoft Operating platform. 2005 System76, a Linux-only computer OEM, starts selling Ubuntu pre-installed on laptops and desktops. ZaReason is founded as a Linux only hardware OEM. In June 2008 the Electronics Corporation of Tamil Nadu (ELCOT), a bulk computer buyer for students in the Indian state of Tamil Nadu, decided to switch entirely to supplying Linux after Microsoft attempted to use its monopoly position to sell the organization Windows bundled with Microsoft Office. ELCOT declined the offer stating "Any such bundling could result in serious exploitation of the consumer." In August 2008 IBM cited market disillusionment with Microsoft Vista in announcing a new partnership arrangement with Red Hat, Novell and Canonical to offer "Microsoft-free" personal computers with IBM application software, including Lotus Notes and Lotus Symphony. Microsoft denied having paid a Nigerian contractor $400,000 to replace Linux on school computers with its own software. In January 2009 the New York Times stated: "More than 10 million people are estimated to run Ubuntu today". In mid-2009 Asus, as part of its It's better with Windows campaign, stopped offering Linux, for which they received strong criticism. The company claimed that competition from other netbook makers drove them to offer only Windows XP. Writing in May 2010 ComputerWorld columnist Steven J. Vaughan-Nichols said "I'm sure that the real reason is Microsoft has pressured Asus into abandoning Linux. On ASUS' site, you'll now see the slogan "ASUS recommends Windows 7" proudly shown. Never mind that, while Windows 7 is a good operating system, Windows 7 is awful on netbooks." In May 2009, Fedora developer Jef Spaleta estimated on the basis of IP addresses of update downloads and statistics from the voluntary user hardware registration service Smolt that there are 16 million Fedora systems in use. No effort was made to estimate how much the Fedora installed base overlaps with other Linux distributions (enthusiasts installing many distributions on the same system). In June 2009 ZDNet reported "Worldwide, there are 13 million active Ubuntu users with use growing faster than any other distribution." In April 2010 Chris Kenyon, vice president for OEM at Canonical Ltd., estimated that there were 12 million Ubuntu users. In June 2010 a Quebec Superior Court Judge Denis Jacques ruled that the provincial government broke the law when it spent Cdn$720,000, starting in the fall of 2006 to migrate 800 government workstations to Microsoft Windows Vista and Office 2007 without carrying out a "serious and documented search" for alternatives. The search for alternatives was legally required for any expenditures over Cdn$25,000. The court case was brought by Savoir Faire Linux, a small Montreal-based company that had hoped to bid Linux software to replace the government's aging Windows XP. The judge dismissed the government's contention that Microsoft software was chosen because employees were already familiar with Windows and that switching to a different operating system would have cost more. In 2011 IBM fielded a computer with the aim of winning on the quiz show Jeopardy!. The computer, named Watson in honor of IBM founder Thomas J. Watson, runs SUSE Linux Enterprise Server. 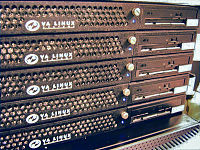 Linux is used on desktop computers, servers and supercomputers, as well as a wide range of devices. Because Linux desktop distributions are not usually distributed by retail sale like other operating systems, there are no sales numbers that indicate the number of users. One downloaded file may be used to create many CDs and each CD may be used to install the operating system on multiple computers. On the other hand the file might be used only for a test and the installation erased soon after. Due to these factors estimates of current Linux desktop often rely on webpage hits by computers identifying themselves as running Linux. The use of these statistics has been criticized as unreliable and as underestimating Linux use. Using webpage hits as a measure, until 2008 Linux accounted for only about 1% of desktop market share, while Microsoft Windows operating systems held more than 90%. This might have been because Linux was not seen at that time as a direct replacement for Windows. According to W3Counter webpage hits the Linux desktop market share increased 62% from 1.32% to 2.13% between mid 2007 and the beginning of 2009, while Windows use fell from 95.52% to 88.77% in the same period, a drop of 7%. The Linux Counter uses an alternate method of estimating adoption, asking users to register and then using a mathematical model to estimate the total number of desktop users. In March 2009 this method estimated 29 million Linux users. I don't believe that the desktop Linux market share is barely 1%. I think it is a lot higher. I have no good data to share; I base my assessment on experience and knowing the industry. There is something else that is even more persuasive, and that is how Microsoft behaves. If Linux is so insignificant, why do they pay so much attention to it? In May 2009 Preston Gralla, contributing editor to Computerworld.com, in reacting to the Net Applications web hit numbers showing that Linux use was over 1%, said that "Linux will never become an important desktop or notebook operating system". He reasoned that the upsurge in Linux desktop use recently seen was due to Linux netbooks, a trend he saw as already diminishing and which would be further eroded when Windows 7 became available (and indeed, Linux netbooks did fall by the wayside, though whether they were solely responsible for the upsurge in Linux usage is open to question). He concluded: "As a desktop operating system, Linux isn't important enough to think about. For servers, it's top-notch, but you likely won't use it on your desktop -- even though it did finally manage to crack the 1% barrier after 18 years". In 2009 Microsoft CEO Steve Ballmer indicated that Linux had a greater desktop market share than Mac, stating that in recent years Linux had "certainly increased its share somewhat". Just under a third of all Dell netbook sales in 2009 had Linux installed. It seems like almost every day someone in the tech press or someone commenting in a technical forum will claim that Linux adoption on the desktop (including laptops) is insignificant. The number that is thrown around is 1%. These claims are even repeated by some who advocate for Linux adoption. Both the idea that Linux market share on the desktop is insignificant and the 1% figure are simply false and have been for many years...Where does the 1% number come from? There are two sources: very old data and web counters. The problem with using web counters to try and ascertain market share is that they generally only include websites that have paid to be counted. That pretty much guarantees that Windows will be overcounted. Reasons to change from other operating systems to Linux include better system stability, better malware protection, low or no cost, that most distributions come complete with application software and hardware drivers, simplified updates for all installed software, free software licencing, availability of application repositories and access to the source code. Although Linux inevitably fragments files, it fragments far less than some other popular operating systems, Windows in particular. Linux desktop distributions also offer multiple desktop workspaces, greater customization, free and unlimited support through forums, and an operating system that doesn't slow down over time. Environmental reasons are also cited, as Linux operating systems usually do not come in boxes and other retail packaging, but are downloaded via the Internet. The lower system specifications also mean that older hardware can be kept in use instead of being recycled or discarded. Linux distributions also get security vulnerabilities patched much more quickly than non-free operating systems and improvements in Linux have been occurring at a faster rate than those in Windows. Investments have been made to improve desktop Linux usability since 2007. A report in The Economist in December 2007 said: "Linux has swiftly become popular in small businesses and the home. That’s largely the doing of Gutsy Gibbon, the code-name for the Ubuntu 7.10 from Canonical. Along with distributions such as Linspire, Mint, Xandros, OpenSUSE and gOS, Ubuntu (and its siblings Kubuntu, Edubuntu and Xubuntu) has smoothed most of Linux’s geeky edges while polishing it for the desktop. No question, Gutsy Gibbon is the sleekest, best integrated and most user-friendly Linux distribution yet. It’s now simpler to set up and configure than Windows." Indian bulk computer purchaser the Electronics Corporation of Tamil Nadu (ELCOT) started recommending only Linux in June 2008. Following testing they stated: "ELCOT has been using SUSE Linux and Ubuntu Linux operating systems on desktop and laptop computers numbering over 2,000 during the past two years and found them far superior as compared to other operating systems, notably the Microsoft Operating System." In many developing nations, such as China, where, due to widespread software piracy, Microsoft Windows can be easily obtained for free, Linux distributions are gaining a high level of adoption. In these countries there is essentially no cost barrier to obtaining proprietary operating systems, but users are adopting Linux based on its merit, rather than on price. Our most potent Operating System competitor is Linux and the phenomena around Open Source and free software. The same phenomena fuels [sic] competitors to all of our products. The ease of picking up Linux to learn it or to modify some piece of it is very attractive. The academic community, start up companies, foreign governments and many other constituencies are putting their best work into Linux. The greatest barrier to Linux desktop adoption is probably that few desktop PCs come with it from the factory. A.Y. Siu asserted in 2006 that most people use Windows simply because most PCs come with Windows pre-installed; they didn't choose it. Linux has much lower market penetration because in most cases users have to install it themselves, a task that is beyond the capabilities of many PC users: "Most users won’t even use Windows restore CDs, let alone install Windows from scratch. Why would they install an unfamiliar operating system on their computers?" Why would anyone choose Windows over Linux?...In my seriously biased opinion, I think this question is answered with a simple conspiracy theory: Microsoft is doing everything it can to keep the public blind to Linux. Think about it? Remember the whole Wintel conspiracy where MS and Intel played off of each other to continue their strangle-hold monopoly in the PC industry? That era played a huge part in the blinding of consumers. Top that with the business practices MS forces upon big box shops to insure [sic] their operating system is sold on nearly every PC sold and you can see that conspiracy is more of a reality than one might think. In an openSUSE survey conducted in 2007, 69.5% of respondents said they dual booted a Microsoft Windows operating system in addition to a Linux operating system. In early 2007 Bill Whyman, an analyst at Precursor Advisors, noted that "there still isn't a compelling alternative to the Microsoft infrastructure on the desktop." Application support, the quality of peripheral support, and end user support were at one time seen as the biggest obstacles to desktop Linux adoption. According to a 2006 survey by The Linux Foundation, these factors were seen as a "major obstacle" for 56%, 49%, and 33% of respondents respectively at that time. The November 2006 Desktop Linux Client Survey identified the foremost barrier for deploying Linux desktops was that users were accustomed to Windows applications which had not been ported to Linux and which they "just can't live without". These included Microsoft Office, Adobe Photoshop, Autodesk AutoCAD, Microsoft Project, Visio and Intuit QuickBooks. In a DesktopLinux.com survey conducted in 2007, 72% of respondents said they used ways to run Windows applications on Linux. 51% of respondents to the 2006 Linux Foundation survey believed that cross-distribution Linux desktop standards should be the top priority for the Linux desktop community, highlighting the fact that the fragmented Linux market is preventing application vendors from developing, distributing and supporting the operating system. In May 2008, Gartner predicted that "version control and incompatibilities will continue to plague open-source OSs and associated middleware" in the 2013 timeframe. By 2008 the design of Linux applications and the porting of Windows and Apple applications had progressed to the point where it was difficult to find an application that did not have an equivalent for Linux, providing adequate or better capabilities. Although OpenOffice.org has not yet reached full parity with Microsoft Office, it is maturing at a rapid pace and is already capable of meeting the basic needs of many average computer users. It is an ideal choice for schools and is an increasingly viable choice for small businesses and home users that don't rely on the more advanced capabilities of Microsoft's office suite. In the past the availability and quality of open source device drivers were issues for Linux desktops. Particular areas which were lacking drivers included printers as well as wireless and audio cards. For example in early 2007, Dell did not sell specific hardware and software with Ubuntu 7.04 computers, including printers, projectors, Bluetooth keyboards and mice, TV tuners and remote controls, desktop modems and Blu-ray disc drives, due to incompatibilities at that time, as well as legal issues. Years ago, if you wanted to install Linux on a machine you had to make sure you hand-picked each piece of hardware or your installation would not work 100 percent...This is not so much the case now. You can grab a PC (or laptop) and most likely get one or more Linux distributions to install and work nearly 100 percent. But there are still some exceptions; for instance, hibernate/suspend remains a problem with many laptops, although it has come a long way. Some critics have stated that compared to Windows, Linux is lacking in end-user support. Linux has traditionally been seen as requiring much more technical expertise. Dell's website describes open source software as requiring intermediate or advanced knowledge to use. In September 2007, the founder of the Ubuntu project, Mark Shuttleworth, commented that "it would be reasonable to say that this is not ready for the mass market." In October 2004 Chief Technical Officer of Adeptiva Linux, Stephan February, noted at that time that Linux was a very technical software product, and few people outside the technical community were able to support consumers. Windows users are able to rely on friends and family for help, but Linux users generally use discussion boards, which can be uncomfortable for consumers. Windows users are more or less in a customer-supplier relationship: They pay for software, for warranties, for support, and so on. They expect software to have a certain level of usability. They are therefore used to having rights with their software: They have paid for technical support and have every right to demand that they receive it. They are also used to dealing with entities rather than people: Their contracts are with a company, not with a person. Linux users are in more of a community. They don't have to buy the software, they don't have to pay for technical support. They download software for free & use Instant Messaging and web-based forums to get help. They deal with people, not corporations. With Linux, you have the support of a huge community via forums, online search, and plenty of dedicated websites. And of course, if you feel the need, you can purchase support contracts from some of the bigger Linux companies (Red Hat and Novell, for instance). However, when you use the peer support inherent in Linux, you do take a chance with time. You could have an issue with something, send out email to a mailing list or post on a forum, and within 10 minutes be flooded with suggestions. Or these suggestions could take hours or days to come in. It seems all up to chance sometimes. Yet generally speaking, most problems with Linux have been encountered and documented, so the chances are good you'll find your solution fairly quickly. ...the fact that Linux is being criticized is probably a good thing. First of all, it shows that Linux is making headway in the enterprise and beginning to have an impact on competitors and they are reacting to that. Secondly, it's healthy to take a long look at any solution and analyze its strengths and weaknesses and the economic ramifications of one choice over another. Ultimately, consumers and decision makers need to look carefully at the data including the sources of the data and the criticism and decide if Linux is the right decision, but as more people choose Linux and it finds its place in the market, it is bound to wear a target. That's simply the price you pay for success in the marketplace. 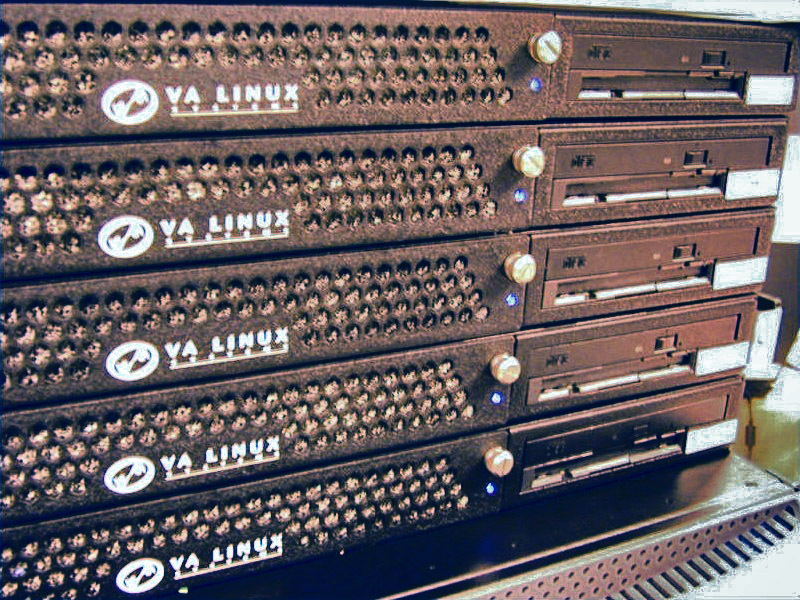 There is continuing debate about the total cost of ownership of Linux, with Gartner warning in 2005 that the costs of migration may exceed the cost benefits of Linux. Gartner reiterated the warning in 2008, predicting that "by 2013, a majority of Linux deployments will have no real software total cost of ownership (TCO) advantage over other operating systems." Organizations that have moved to Linux have disagreed with these warnings. Sterling Ball, CEO of Ernie Ball, the world's leading maker of premium guitar strings and a 2003 Linux adopter, said of total cost of ownership arguments: "I think that's propaganda...What about the cost of dealing with a virus? We don't have 'em...There's no doubt that what I'm doing is cheaper to operate. The analyst guys can say whatever they want." In the SCO-Linux controversies, the SCO Group had alleged that UNIX source code donated by IBM was illegally incorporated into Linux. The threat that SCO might be able to legally assert ownership of Linux initially caused some potential Linux adopters to delay that move. The court cases bankrupted SCO in 2007 after it lost its four-year court battle over the ownership of the UNIX copyrights. SCO's case had hinged on showing that Linux included intellectual property that had been misappropriated from UNIX, but the case failed when the court discovered that Novell and not SCO was the rightful owner of the copyrights. During the legal process, it was revealed that SCO's claims about Linux were fraudulent and that SCO's internal source code audits had showed no evidence of infringement. A rival operating system vendor, Green Hills Software, has called the open source paradigm of Linux "fundamentally insecure". Our job is to provide accurate and timely information to the soldier in the field so they can perform their mission. Open source software is part of the integrated network fabric which connects and enables our command and control system to work effectively, as people's lives depend on it. When we rolled into Baghdad, we did it using open source. It may come as a surprise to many of you, but the U.S. Army is "the" single largest install base for Red Hat Linux. I'm their largest customer. Linux became popular in the Internet server market particularly due to the LAMP software bundle. In September 2008 Steve Ballmer (Microsoft CEO) claimed 60% of servers run Linux and 40% run Windows Server. Linux is the most popular operating system among supercomputers due to its superior performance, flexibility, speed and lower costs. In November 2008 Linux held an 87.8 percent share of the world's top 500 supercomputers. In January 2010 Weiwu Hu, chief architect of the Loongson family of CPUs at the Institute of Computing Technology, which is part of the Chinese Academy of Sciences, confirmed that the new Dawning 6000 supercomputer will use Chinese-made Loongson processors and will run Linux as its operating system. 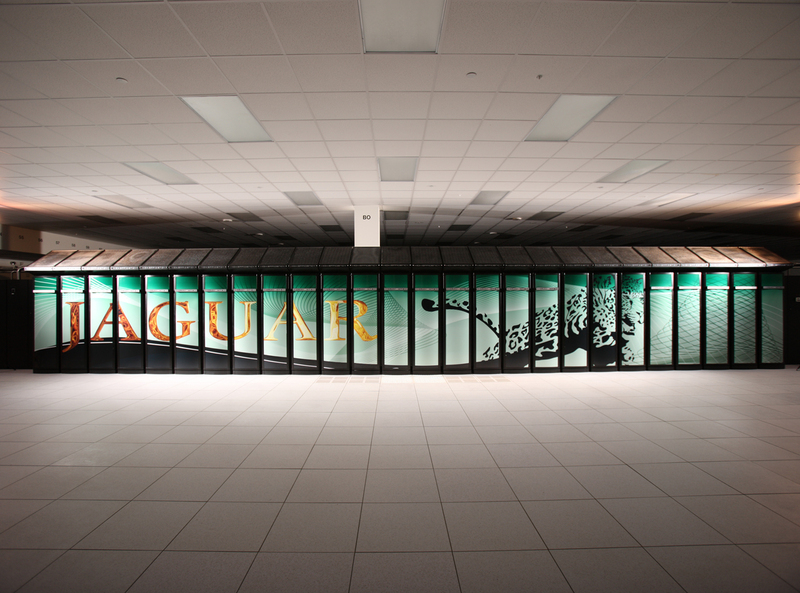 The most recent supercomputer the organization built, the Dawning 5000a, which was first run in 2008, utilized AMD chips and ran Windows HPC Server 2008. Linux is often used in various single- or multi-purpose computer appliances and embedded systems. For instance the Palm webOS, Palm, Inc.'s flagship mobile operating system runs on the Linux kernel. Many organizations advocate for Linux adoption. The foremost of these is the Linux Foundation which hosts and sponsors the key kernel developers, manages the Linux trademark, manages the Open Source Developer Travel Fund, provides legal aid to open source developers and companies through the Linux Legal Defense Fund, sponsors kernel.org and also hosts the Patent Commons Project. The International Free and Open Source Software Foundation (iFOSSF) is a nonprofit organization based in Michigan, USA dedicated to accelerating and promoting the adoption of FOSS worldwide through research and civil society partnership networks. The Open Invention Network was formed to protect vendors and customers from patent royalty fees while using OSS. Livre Brasil, a Brazilian organization promoting Linux adoption in schools, public departments, commerce, industry and personal desktops. FOSS: Free and Open Source Software Foundations of India and China.